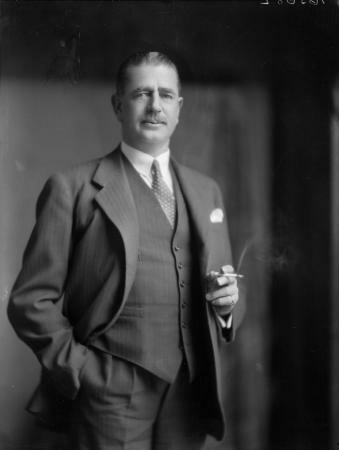 Joseph Gordon Coates 1878–1943 farmer, politician, and soldier was Prime Minister in a Reform (conservative) Government from 1925 - 1928. He held ministerial portfolios in later administrations and was a member of the War Cabinet when he died in office. From the intersection it is 6km to Maungaturoto. This is held in December. 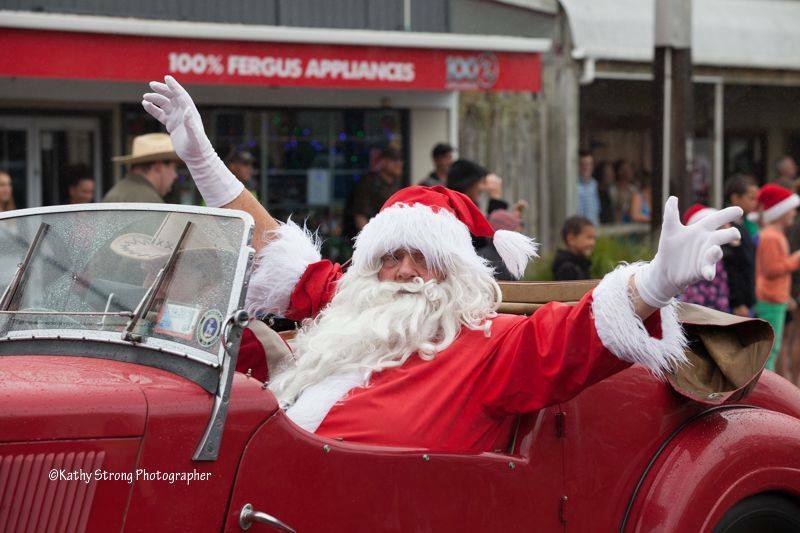 It is a great family day with the usual types of stalls and Santa makes a guest appearance of course. There is a wonderful parade with the Waipu Pipe Band and many colourful floats that are competing for prize money. Experience the delicious coffee at the local cafes,stroll along the scenic walkways, have a picnic at Piroa Falls, marvel at the unique Nikau Grove hidden up Whaka Street, enjoy the scenic drive through Bickerstaffe Road and enjoy the quiet stillness of the countryside. 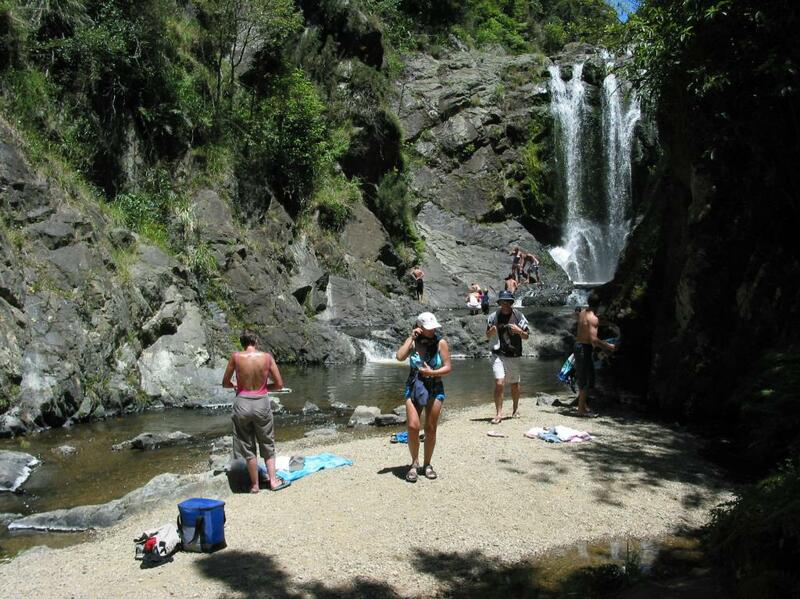 This little piece of paradise is just a few minutes drive from Maungaturoto along Gorge Road. It is just 5-10 minutes walk away from the road side car park - through beautiful native bush. The track is a short, stroll through bush into the gorge. You cross the Ahuroa River on a concrete slab bridge with “Rotary 1983” engraved on it (the track was built and upgraded courtesy of Maungaturoto Rotary Club). About five minutes after crossing the bridge, you can view the picturesque Piroa Falls from beneath. The river has a number of swimming holes along the track making it a worthwhile family trip. Bring your togs! Whakapirau is a little beach settlement on the Kaipara Harbour, opposite Pahi, only 13 minutes drive from Maungaturoto; the road is sealed all the way there. It is suitable for swimming, beach walks and all types of water sports. There are no shops at Whakapirau but there is a church, a playground and a tennis court. 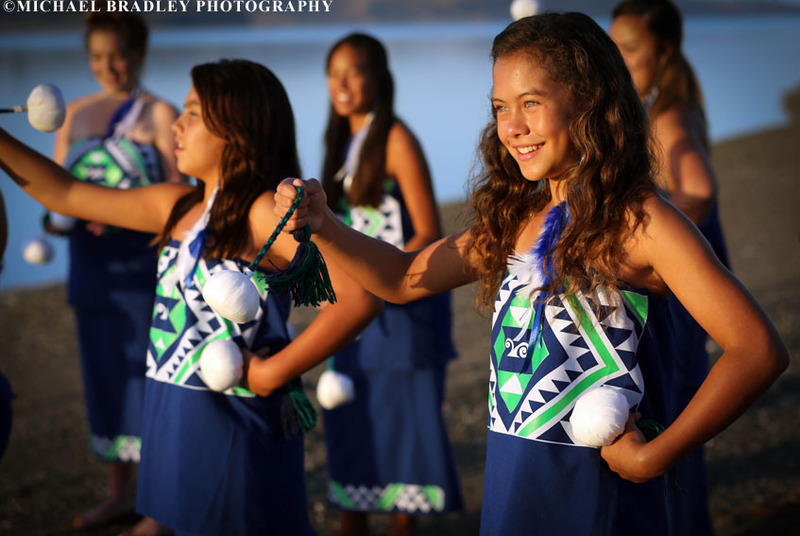 The Maungaturoto Country Club is a community social and sports facility with a warm, fun and friendly environment. It offers a little bit for everyone in your family and is the home of several sports clubs and a great place to dine and socialise. 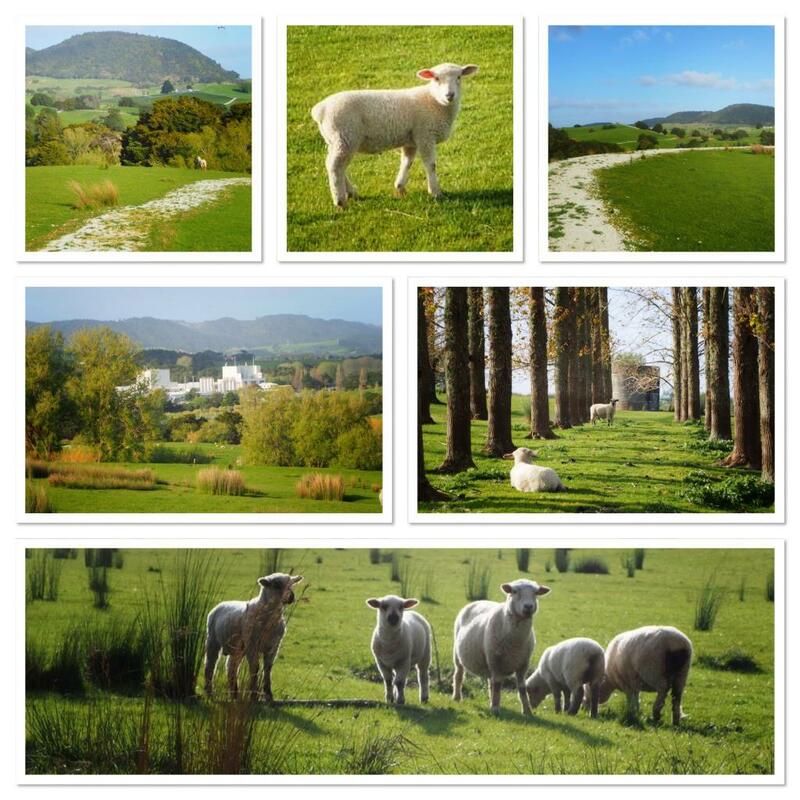 The 60ha (140 acre) grounds include a community walkway, rugby fields and a sheep farm. The Club is open on Thursday and Friday evenings and at other times by arrangement. The function lounge is available for club functions and private events. The club can provide spit roasts, barbeques, buffets and a la carte dining. 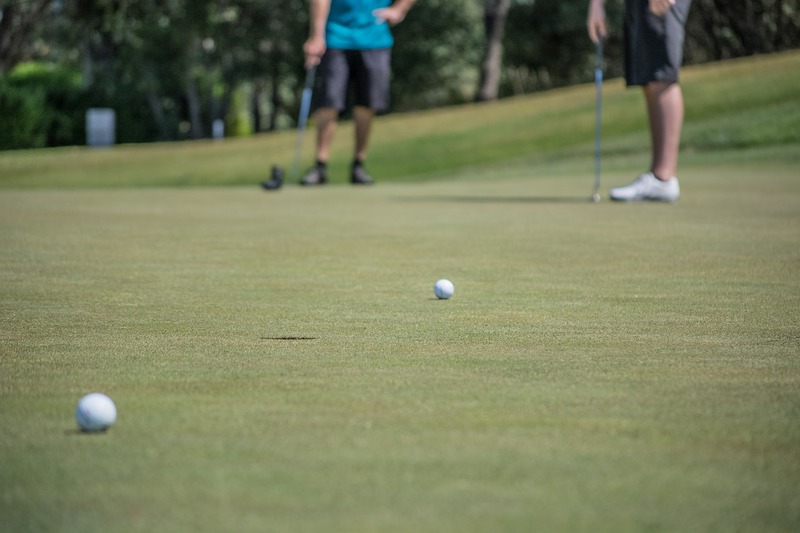 A member of Clubs New Zealand, the Club is a community asset which enjoys an ongoing commitment by local people who generously help out in many ways to ensure it meets the changing needs of its members and visitors. Rugby – both senior, junior and intermedia. Come and wander around over 32 stalls of fresh produce, arts & crafts and More on a Friday late afternoon. Perfect stop off as you travel up north or down south for the weekend. Plenty of everything for everyone. What better way to spend some time with the family. Take a stroll along the beautiful paths of the Community Walkway. Pass the sheep and look out to the beautiful landscape. Gentle rolling hills, suitable for all fitness levels. The walk takes about 1 hour to walk around but there are shortcuts if you prefer a shorter walk. Shoes are required. There is a couple of steeper areas but you have options of going off the track to make it a bit easier. Entry across from the Otamatea High School or half way along the Country Club driveway on Bickerstaffe Road. The skateboard park after a year or so of fundraising is now ready to be constructed over the next few months and will hopefully be ready for use by March 2017. 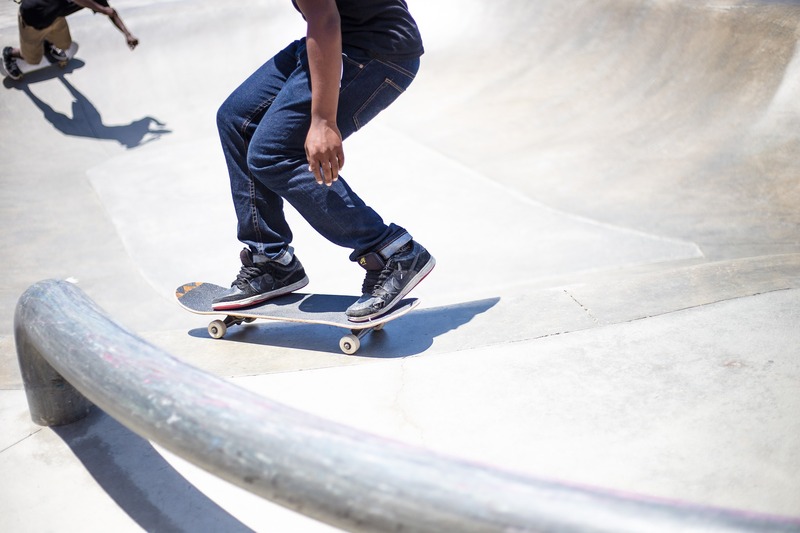 You can find the skateboard park at the entry of the Country Club on Bickerstaffe Road. During 2012 -1013 a massive beautification is taking place on the main streets of Maungaturoto. Waterfalls outside the shopping area (Dreams Gift shop) gardens at St John, cnr Whaka & Hurndall St are nearly all completed. Take a stroll through the main street and see the beautiful gardens from one side of town to the other, finishing at the gardens on the corner of Whaka Street. 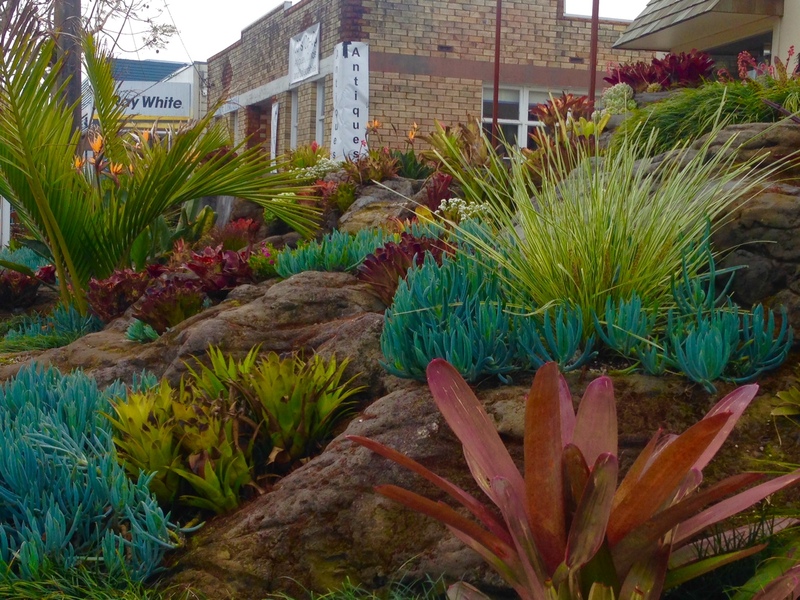 The inspiration for these gardens are Coral Reefs, bringing exotics and natives together to bring colour and texture to these lovely gardens. This is situated on Whaka Street beside St David’s Presbyterian Church. It is very pretty and is one of the few naturally-occurring stands of Nikau palm trees in New Zealand. 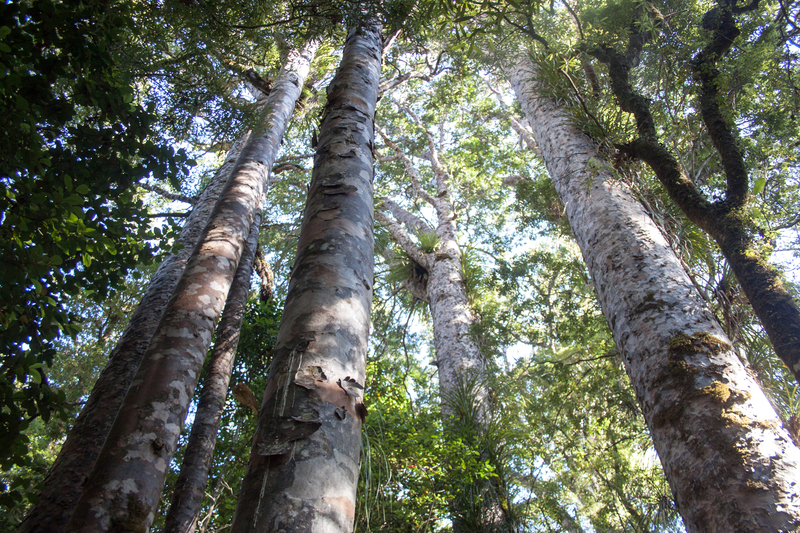 This hidden gem has several large Kauri Trees and is located on Gorge Road, 300m along the metal section of the road, travelling away from Maungatoroto. 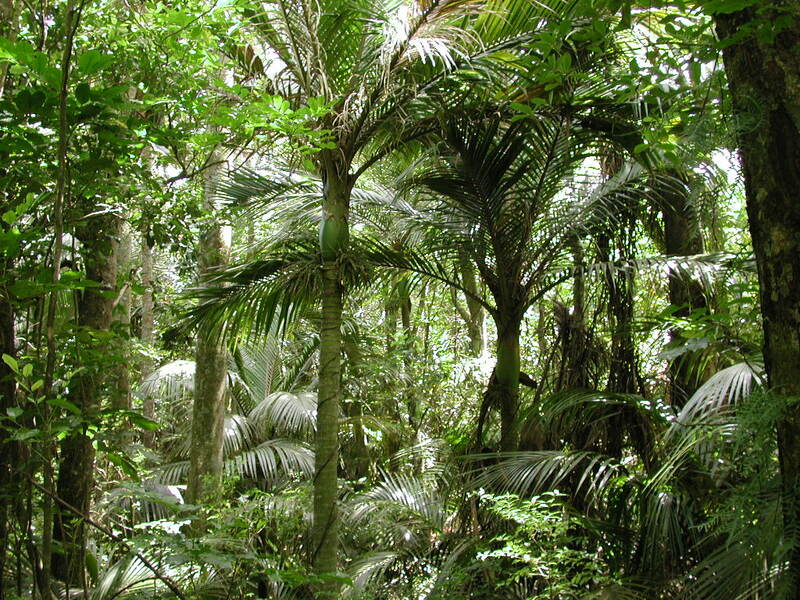 There’s a short walkway (15 minutes return) through the bush to a lovely stand of Kauri trees. The playground and park are situated in Hurndall Street in the centre of town. 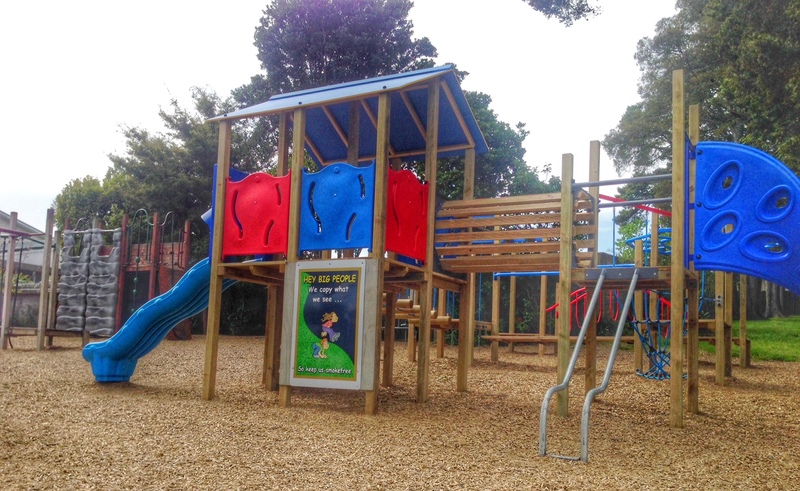 The children’s playground is well equipped, and the park is an appealing place for picnics and games. There are public toilets nearby. 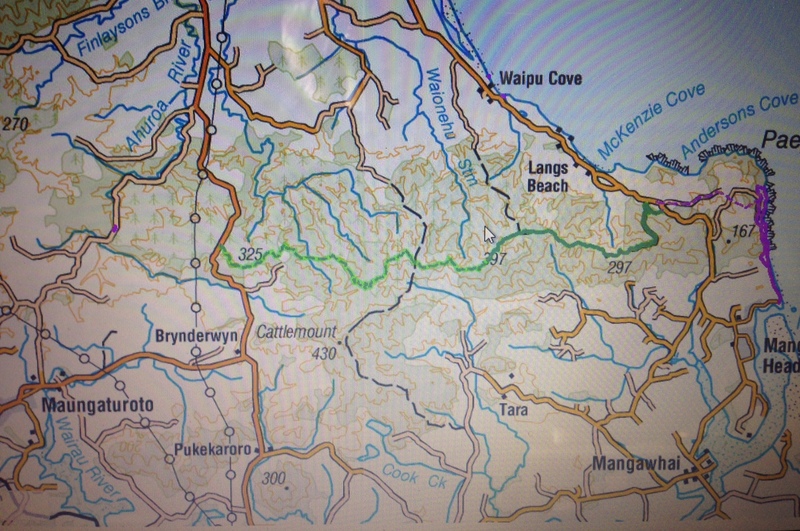 The Brynderwyn Hills stretch some 12 km one way - 6 hour walk from Mangawhai Heads in the east to the vicinity of Maungaturoto. You can access the Brynderwyn Hills Walkway from either the western or the eastern end (see the link below for directions). The walkway follows varied terrain, including regenerating bush and farmland, with some steep sections. There are spectacular views of the sea, including the Mangawhai estuary and the Hen and Chicken Islands. As you reach the Trig at 276 metres you get magnificent views in every direction. Dogs are not permitted on this walkway. Maungaturoto is situated on the Otamatea River at the north-eastern end of the Kaipara Harbour, New Zealand's largest harbour. The Kaipara Harbour is internationally important as a major roosting and breeding area for coastal and estuarine wading birds such as godwits and New Zealand dotterel. The harbour mouth is very dynamic in contrast to the intricate sheltered estuaries, narrow peninsula, salt marshes, mangroves and tidal mudflats of the inner harbour. Numerous small, forested reserves occur on the harbour margins. Batley, Pahi and Whakapirau are all on the Kaipara Harbour, and easily accessible from Maungaturoto. 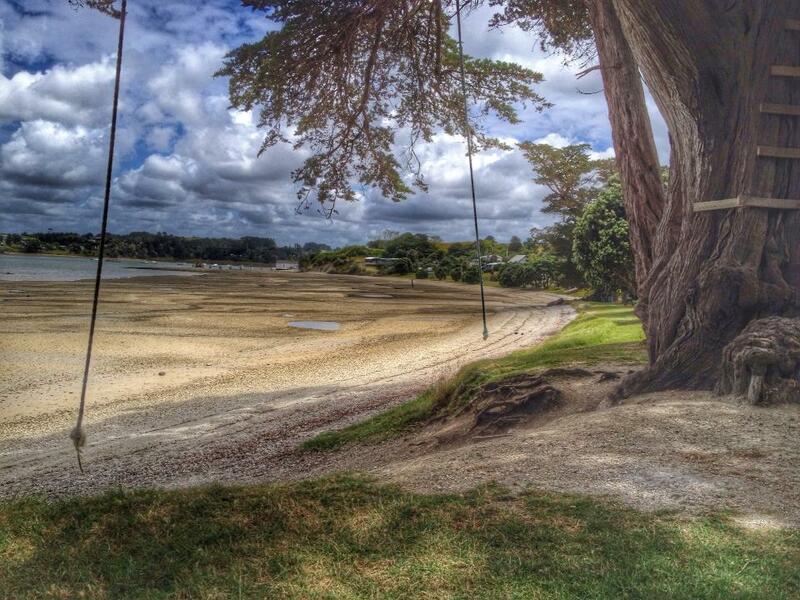 The beach at Batley is well worth the winding drive out from Maungaturoto along Bickerstaffe Road. The former settlement now consists mainly of a striking privately owned house looking out over the Kaipara Harbour. You can picnic on the beach, walk along the beach-line, especially at the lower stages of the tide, fish and swim, and enjoy the tranquility of this special place. The story of the house forms the basis for a recently published book: Love at the End of the Road, by Rae Roadley. 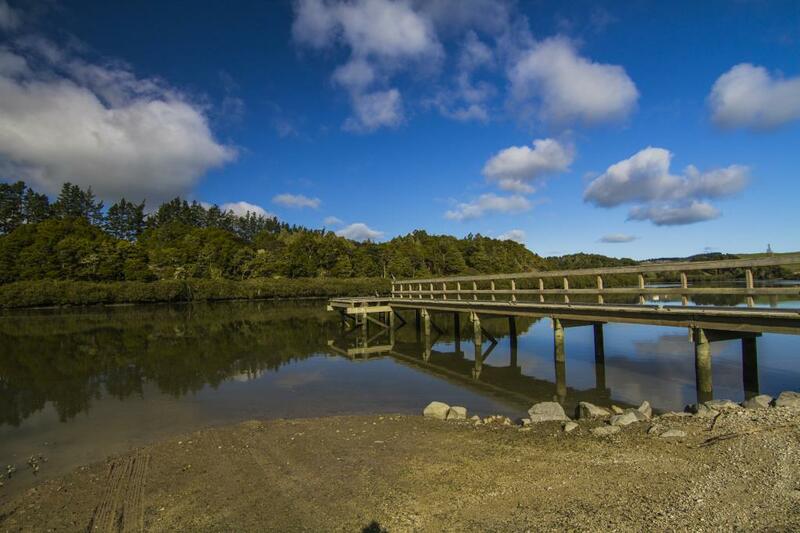 The Maungaturoto Wharf was funded by donations received by locals and volunteers all came together to make it happen. You can fish off the wharf or swim or sit and enjoy the beautiful peaceful environment. Otamatea Repertory Theatre Inc is a community treasure, made up of a small, enthusiastic group of people who love to play and create. We put on several shows a year, catering for a wide range of ages and tastes. New members are always welcome to join our theatre family. Pictured is the cast, crew and orchestra of 'Seussical' which we staged in 2013. Aotearoa is the main building and is used for meetings, gatherings and tangihanga. It provides sleeping accommodation for approximately 100 people. 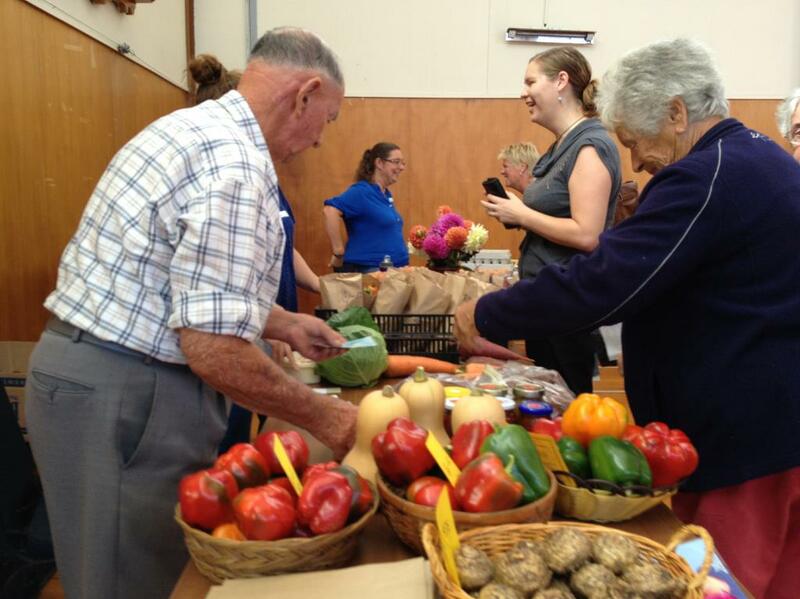 Cooking and eating are carried out in the wharekai where approximately 200 people can be seated. Shower and toilet facilities are adjacent to Aotearoa.